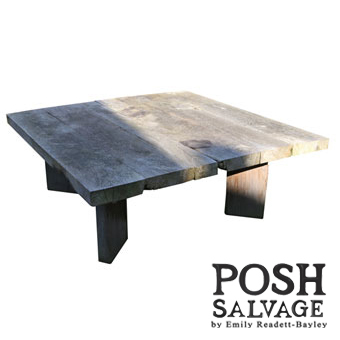 A solid, thick topped coffee table made from good quality salvaged teak. It has faded to a nice silver colour. This will last for many years outside or will work well in an interior needing a natural feature. Viewing can be arranged. Contact Emily directly on +44 7802 732 753 if you wish to arrange an appointment to view a table or require more photographs., or complete the form below.